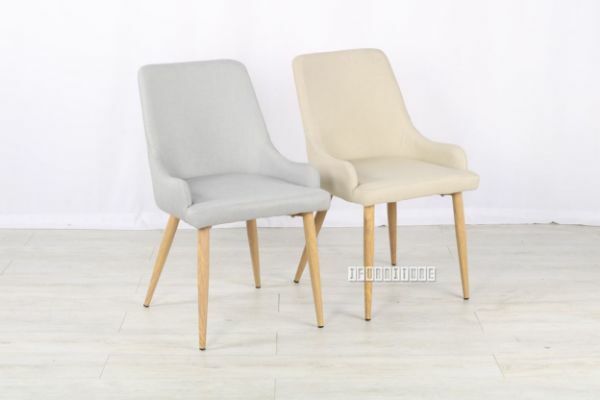 The ILFORD padded, fabric covered, dining chair is available in Grey or Beige. While the legs are slim, light brown, and appear to be wooden, they are in fact steel! * Slim, light brown, wood-look legs are steel!